In anticipation of his championship debut, Spike TV will premiere “UFC Presents Jon Jones: In the Moment” this Thursday at 11PM ET/PT. 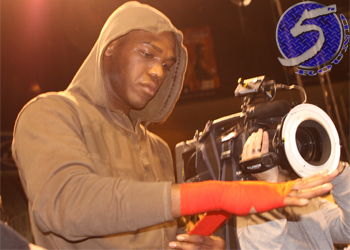 The documentary will chronicle the life of fast-rising superstar Jon Jones. The half-hour special showcases the 23-year-old’s journey to Saturday’s title fight with light heavyweight champ Mauricio “Shogun” Rua at UFC 128. From his training camp to his family life, from New Mexico to New York, viewers get an inside look at “Bones” as he prepares to capitalize on the opportunity of a lifetime. The show is produced in near real time, from the subject’s point-of-view. There will be no narration. This marks the first time a non-UFC title holder was given his own Spike TV documentary. “UFC 128: Shogun vs. Jones” airs Saturday on pay-per-view on at 10PM ET/ 7PM PT.